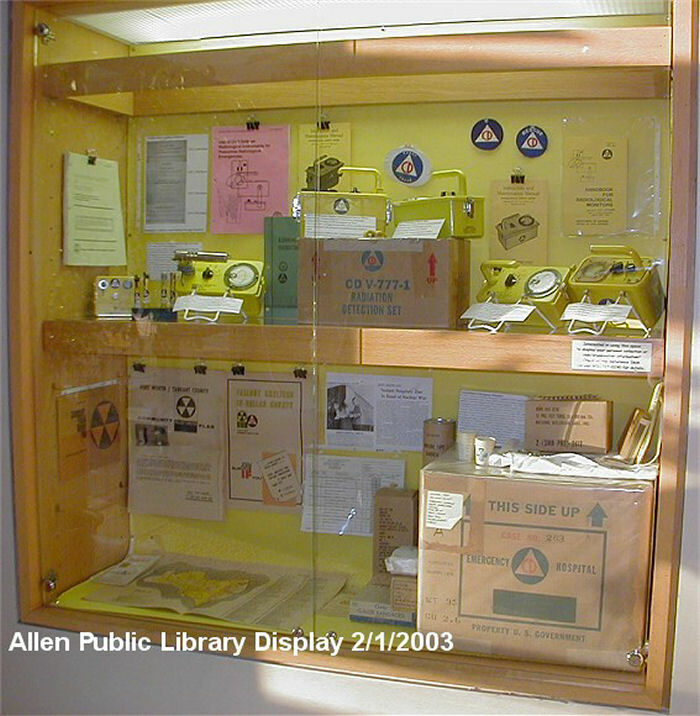 Here are a couple of photos of a Civil Defense display I put up in the Allen, Texas Public Library in February of 2003. 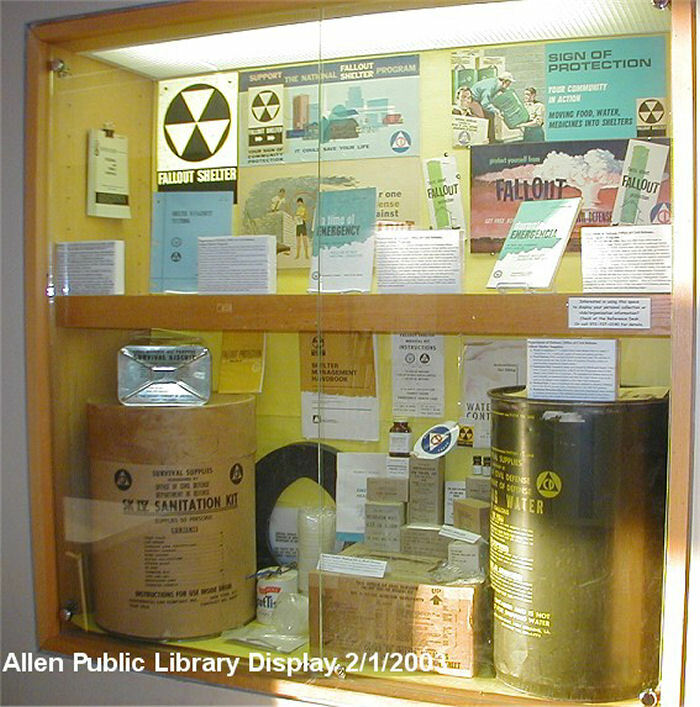 In the almost 20 years I have had this site up this is the only time I have ever had a public display of any of my collection. Thanks to the Allen public library for letting me put up my freaky old CD junk!